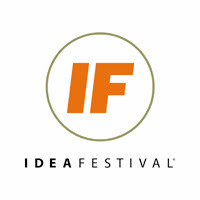 The third Louisville Idea Festival is now over, and it was a fantastic trip through architecture, video games, mobile phones, ninjas, word games, the Berlin Wall, and Aliens vs Predators. I was able to blog 5 of the Idea Festival events, take a few photos, Twitter live updates, and a few location-based concepts. Thanks to Wayne Hall, the official IF blogger, and Michelle Jones at Consuming Louisville for coordinating the bloggers.